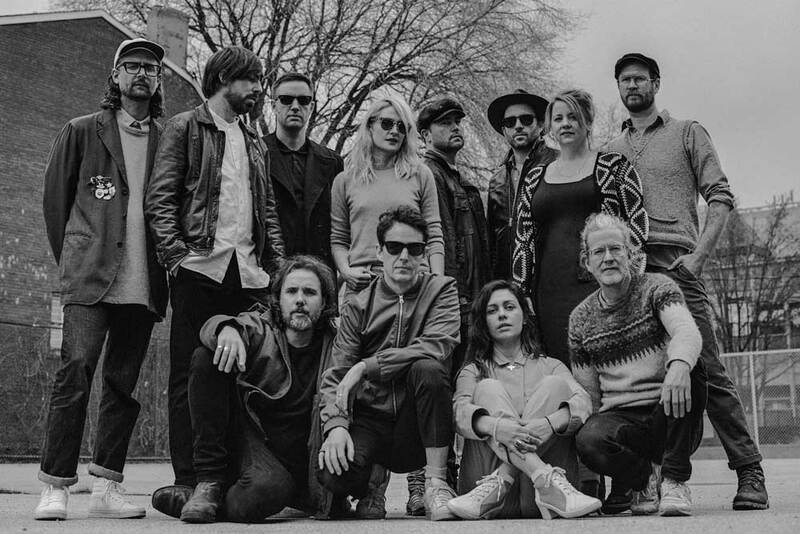 Today, Broken Social Scene are sharing “Old Dead Young”, a track that was previously only released on vinyl editions of their latest critically acclaimed LP, Hug Of Thunder. "Old Dead Young" is “our fist pump towards the constant struggle of getting it right and we want to spread that to as many people, as far and wide as possible.” says Kevin Drew. The band is also announcing the final show on the Hug Of Thunder tour - after their performance at Music Tastes Good festival in Long Beach on September 29, Broken Social Scene will take the stage at The Troubadour in Los Angeles this Sunday, September 30. “All things come to an end and this tour has been a wonderful experience for all of us, returning to what we know best,” says Drew. “Thank you to all who came out and joined the celebration. This weekend in LA we will continue to scream for ourselves, for those who left, for those who can’t be heard, and for those who need our help with returning.